“Musical Growth” is a common phrase you hear around the music reviewing world, at least in most of the review sites that I have wandered upon. It’s something that’s really hard to quantify because it implies that there is a sort of end you’re trying to reach as an artist, and where you start is never going to be that “end” everyone is looking for. So when 2PM came out with the album with a very particular name, Grown, my first reaction was to expect an album that embodied a sense of metamorphasis, of moving forward. Whether I got what I wanted is a very loaded question, because in many ways I did and in some ways I didn’t—and I’m not just talking about the sensual factor here. The bottom line? Grown the album is well done—but how do the songs stack up individually? 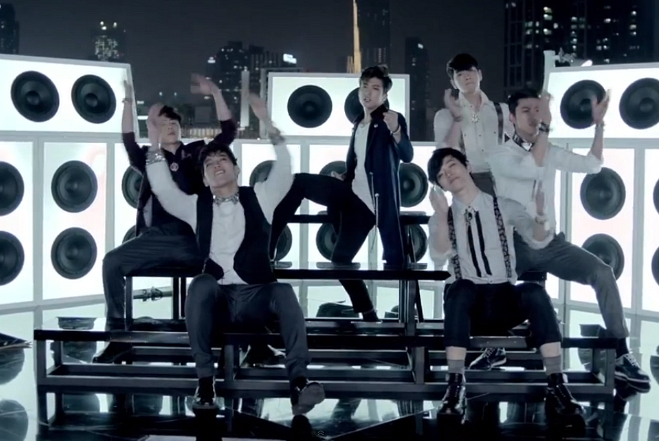 “A.D.T.O.Y.” exemplifies both the successes and the failures of 2PM. The extremely apparent problem with the song is that in the context of Grown it shows very little “growth.” In fact, I think this song could get away with being in other 2PM albums (it fits in with “Without U”) and I wouldn’t think twice. It’s a bit dated, and a tad clunky (The robot voice? Not a fan.) As much as Jun.K may be my favorite 2PM member by galaxies, his ad-libs at the end/middle 8 just don’t cut it for me. It was flat, and failed to bring the song to the climax it needed. I also wish Nichkhun didn’t get all those lines, because his falsetto is not the most pleasing of timbres. “Come Back When You Hear This Song” is one of those entirely self-aware songs that knows that it’s going to be a single before it actually is written, and just tries too hard. Okay, I do admit the pre-chorus is beautiful, as is the piano, and the song does “grow” on you. I might be the only one who thinks this —but I really give “Come Back When You Hear This Song” a pass. It takes too much effort to like. This the big turning point in the album, where we truly leave the JYP penned mediocrity behind, and hit the gold in this album. This “lounge song” oozes sensuality, maturity, and clean composition. Those slides and slight harmonies in the chorus are to die for. For once, I don’t actually want to chuck the rap out the window, because here, it provides a nice break in all the “smooth like butter” vocal lines. If the last song didn’t convince you, I guarantee this song will slam you on the 2PM bandwagon before you even realize you’re on it. I have nothing to add. “Today Marks the First Day” is a gem. Just when I think 2PM can’t top the last two songs, they bring out “Dangerous,” a mellowed out upbeat number worthy of following “Today Marks the First Day.” It is another jazzy, sensual number, but it does stand out against “Today Marks the First Day” for it’s understated quality. By the time we get to this song, I feel like I’ve heard parts of this song elsewhere in the album, and then I sort of lose interest. It’s almost as though I’m beginning to suffocate in the heavy, yet similar sound that pervades this album and I have to take a few minutes to free myself before continuing with the rest. If there’s anything that Jun.K knows how to utilize in his compostions, it’s an orchestra. 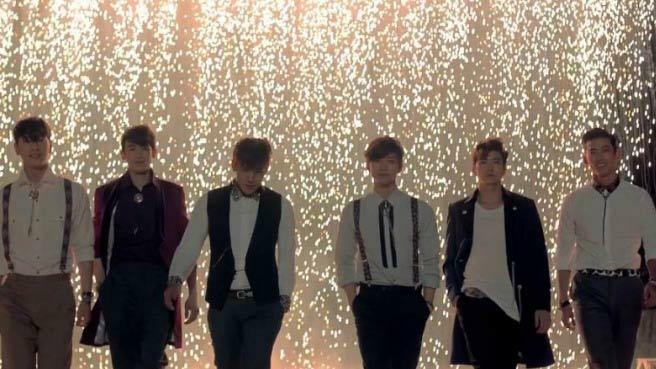 “Game Over” tops “Alive” in my books (though “Game Over” is not entirely by Jun.K) and is a favorite on the album, for it not only gives a slight throwback to the 2PM of another era, it brings back life and bite to album just as I begin to wander away from it. This may be yet more sensual lounge-esque/elevator music, but I really like the composition and the dynamics of this song, because this one doesn’t try to drown me in its sound; rather, it provides some reprieve in little sections of crescendos within the song. “Go Back” is the last of the upbeat music before we close out the album with “Love Song” and “Suddenly,” yet it’s very restrained like the rest of the album. It may be just me, but “Go Back” sounds more like a Big Bang song than it does a 2PM song, not that it’s a bad thing. I really like the chorus in this one, but I really am getting tired of all the similar melodies. I get disconcerted by the fact that I could mix up “Love Song,” “Coming Down,” and “오늘 하루만” way too easily. Jun.K, you seem to be writing all the right notes exactly when I need them, whether it’s “Game Over” or “Suddenly.” The latter is a song I can’t imagine anywhere else but as the closer of this album, and a very satisfying closer at that. I do think though, that it really, really, Really wants to be an OST, and under normal circumstances, I have to say that it could be be better composed. However, I think that amongst the ubiquitous lounge music that I seem to be getting out of this album, an OST track, believe it or not, is really a breath of fresh air. In essence, 2PM is not quite at the grand metamorphosis my sky-high aspirations for them were hoping for. They need to learn to let music take a life of its own while loosely unifying all the components into a mosaic rather than just having a huge piece of pretty, but rigid glass. That said, 2PM are undoubtedly setting their feet in the right direction and moving forward with Grown—and for that, I could not be more pleased with their efforts. Like the boys said themselves, they age like fine wine; it’s just that they need a few more years in the cellar. 2PM, you have yourself a well deserved 4.2/5.